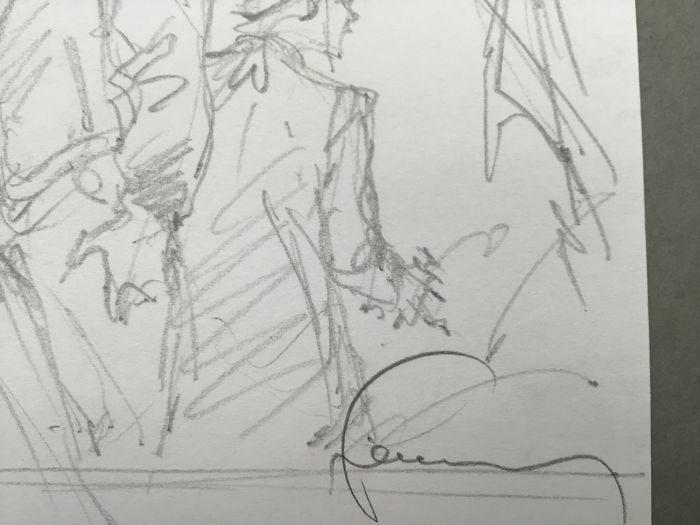 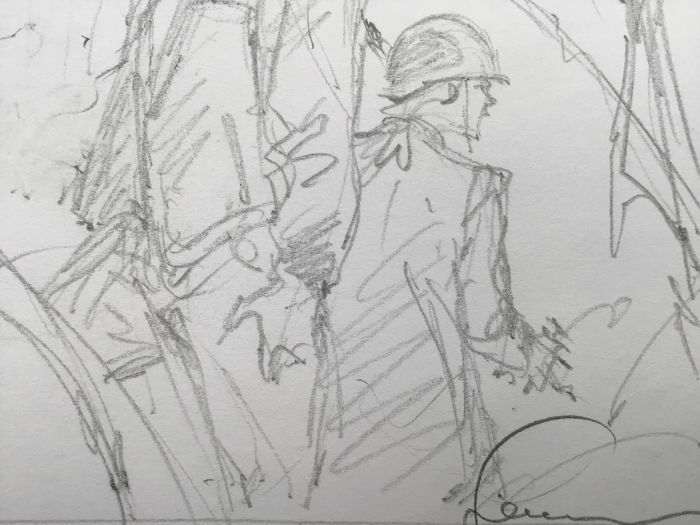 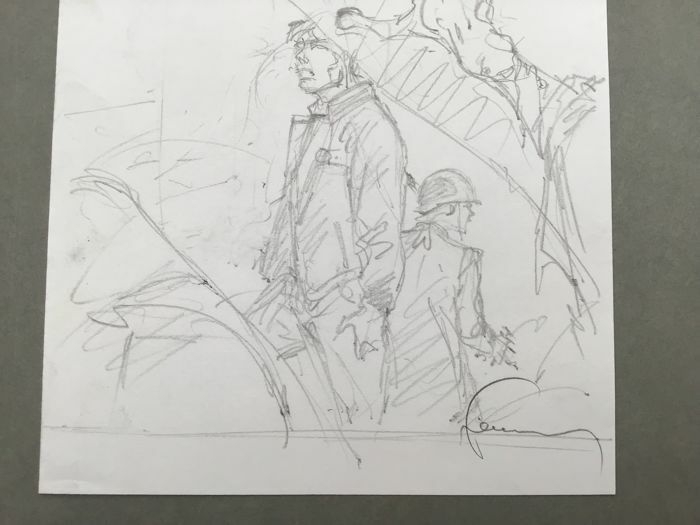 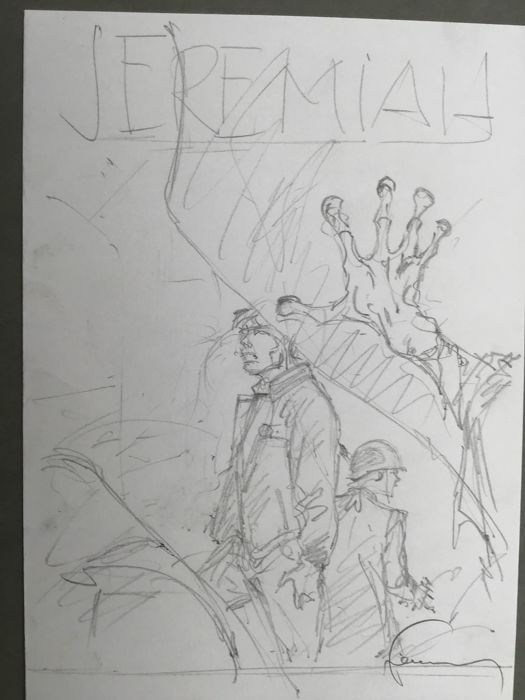 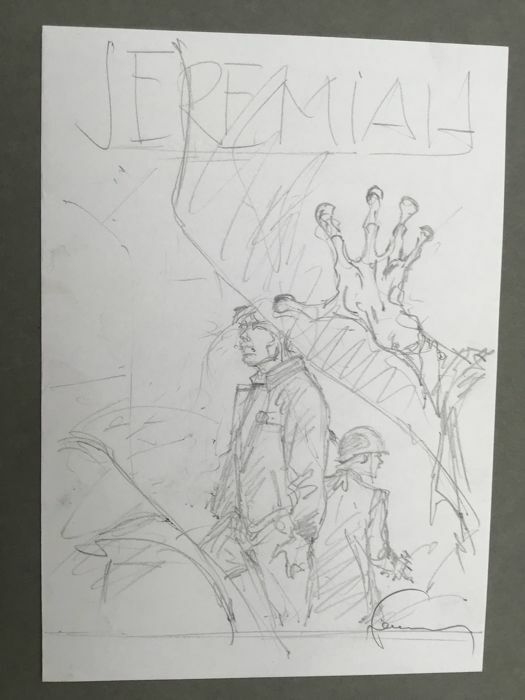 Without a doubt, the collector who acquires this beautiful sketch for a “Jeremiah” comic book cover signed “Hermann” will be able to frame it to exceptional effect. 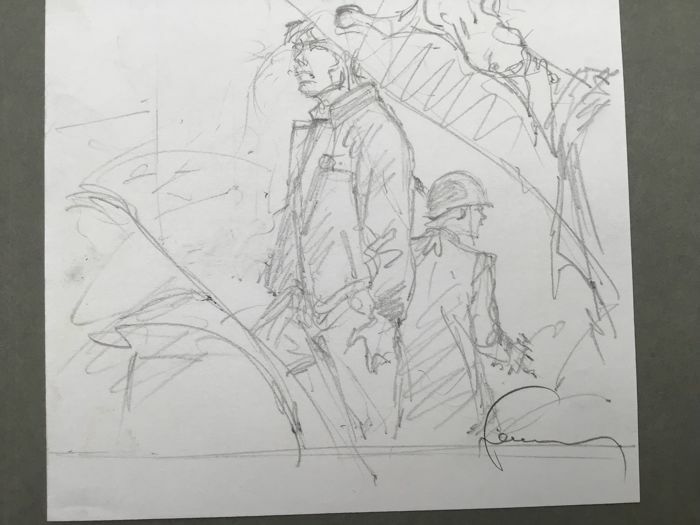 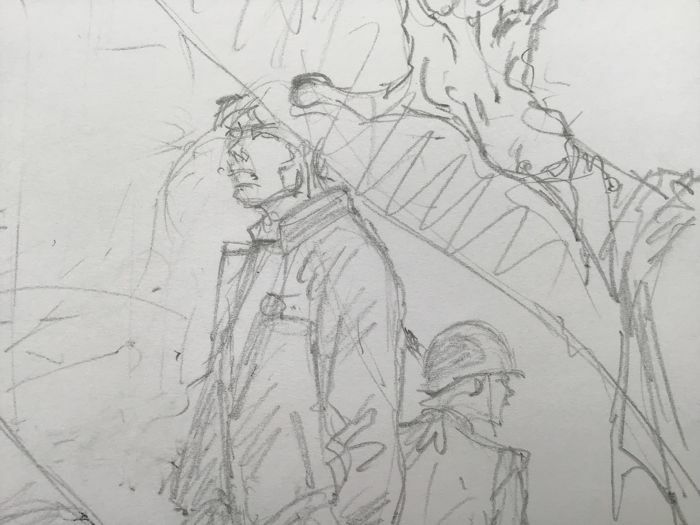 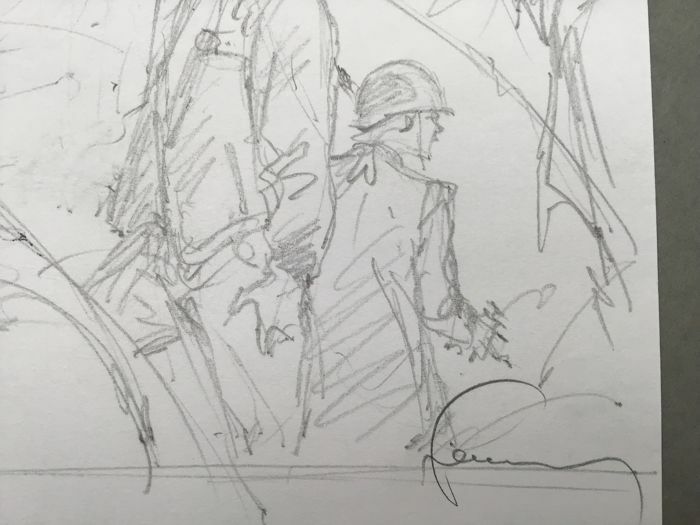 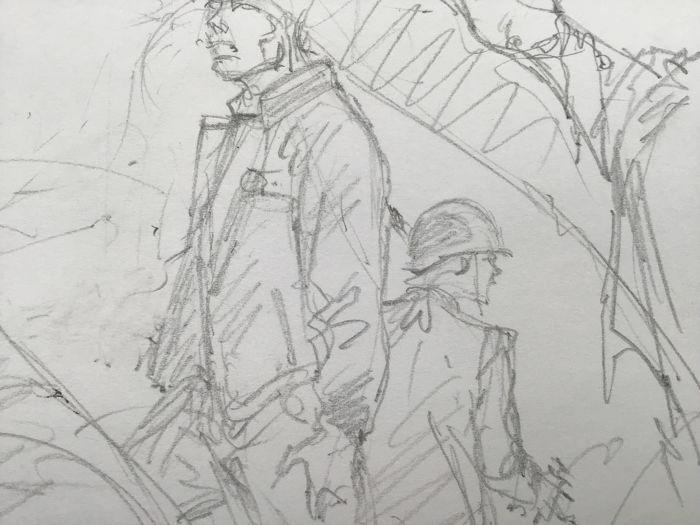 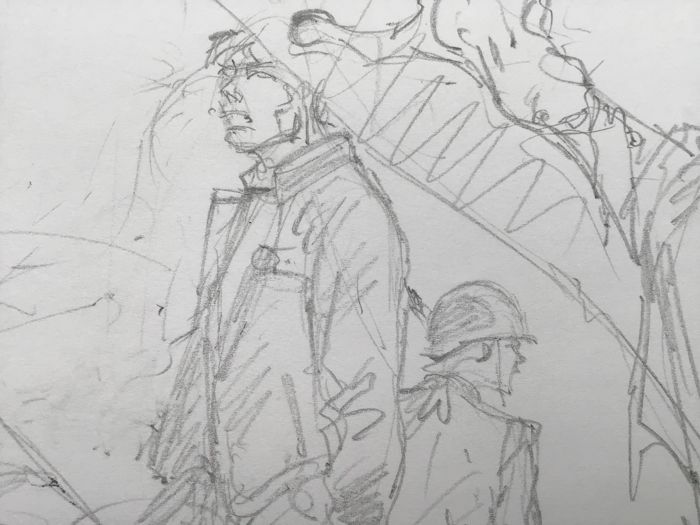 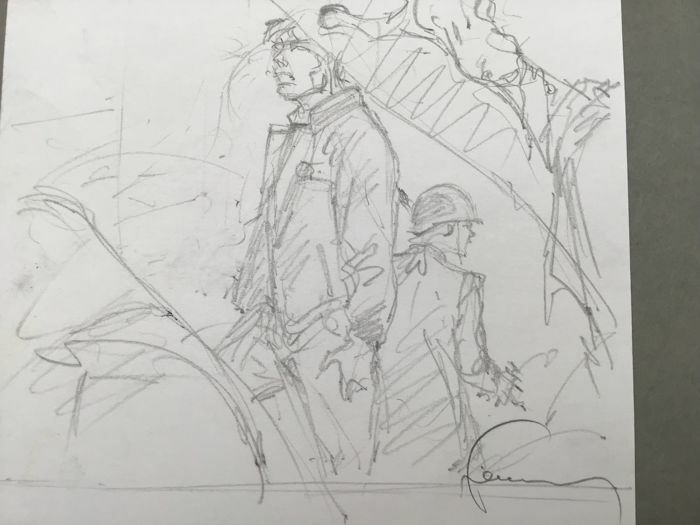 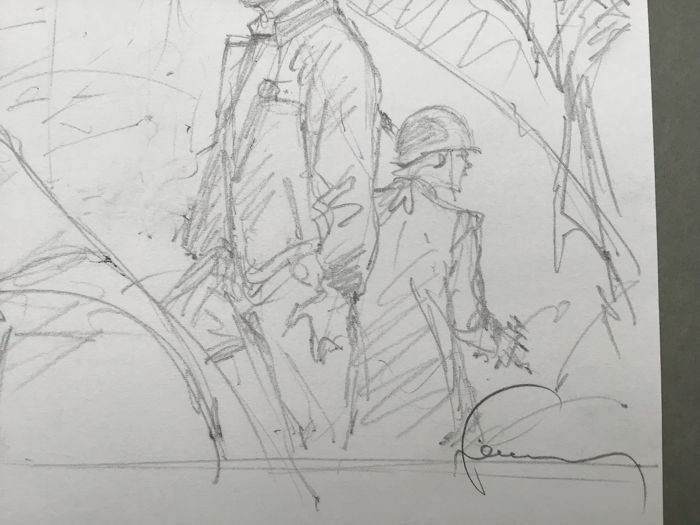 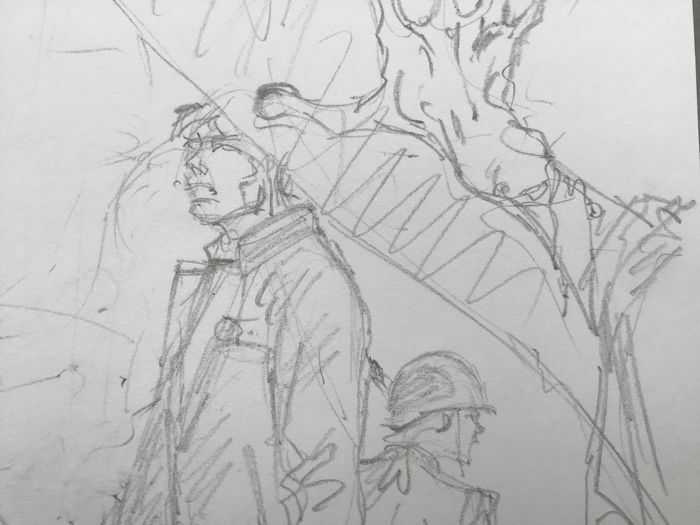 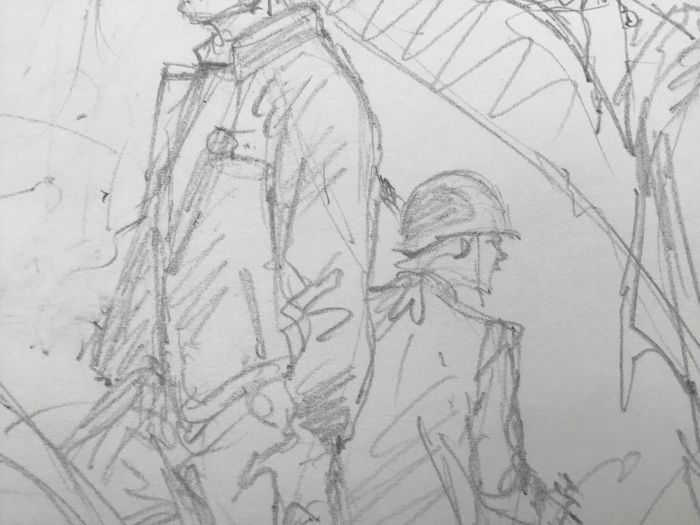 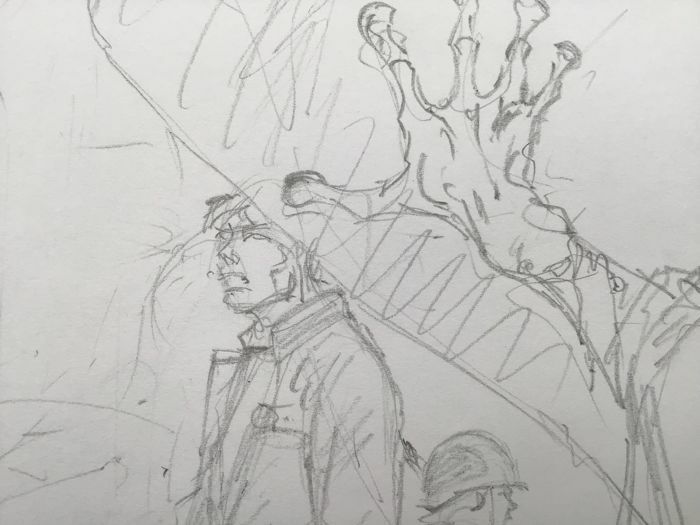 All it would take is setting this original pencil sketch alongside the final album cover. 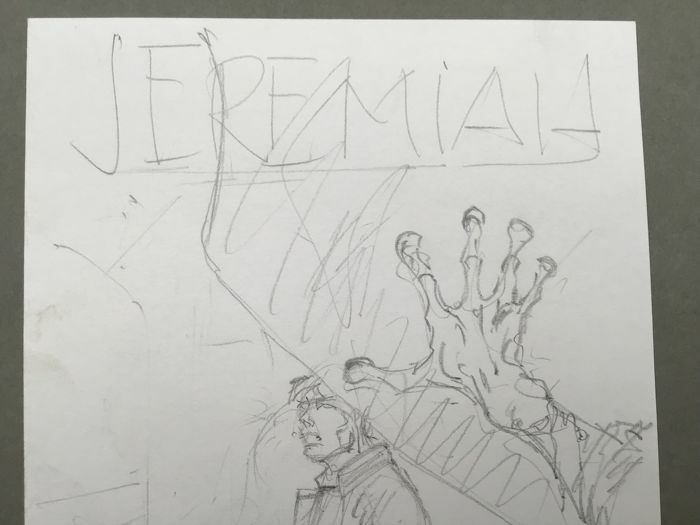 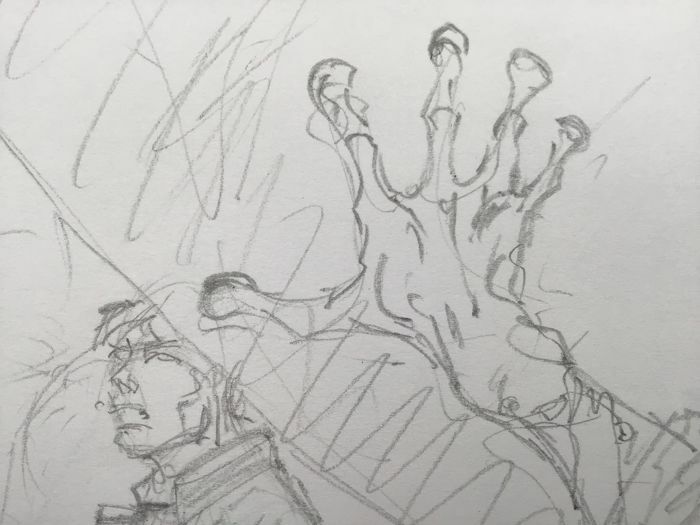 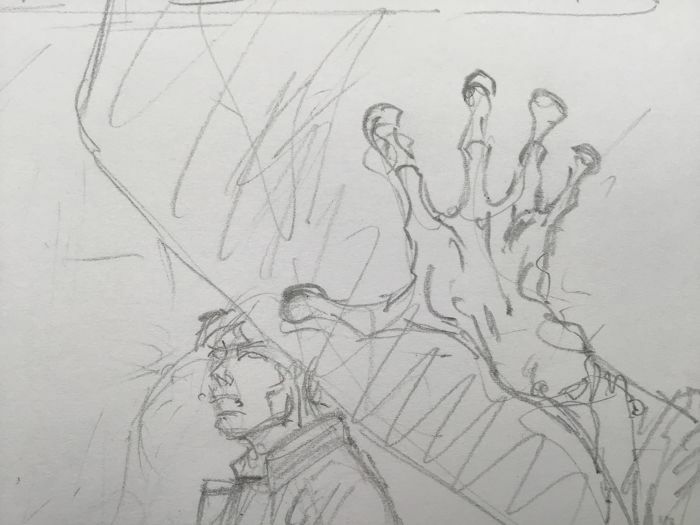 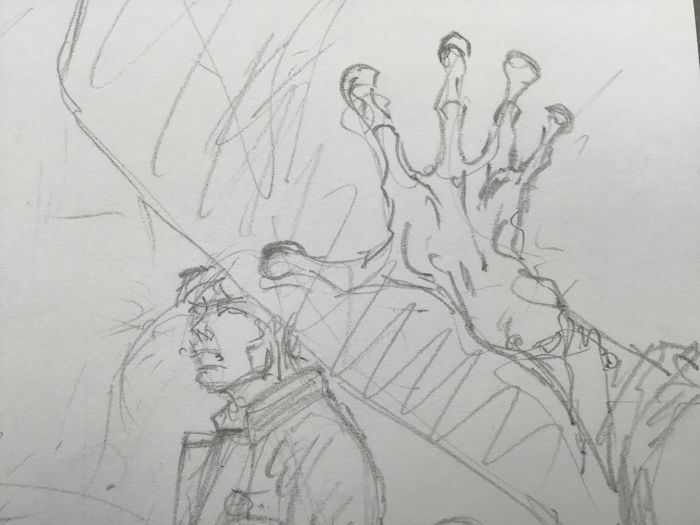 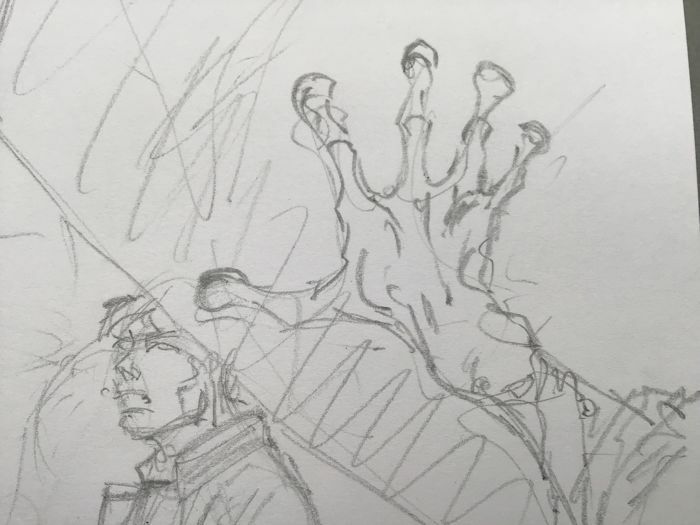 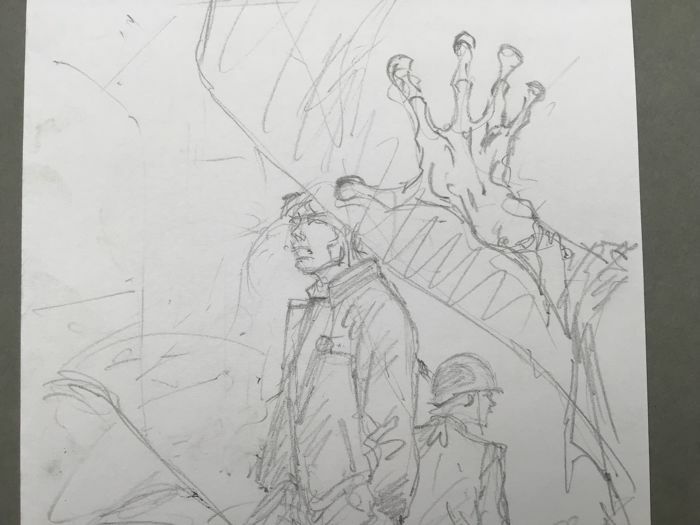 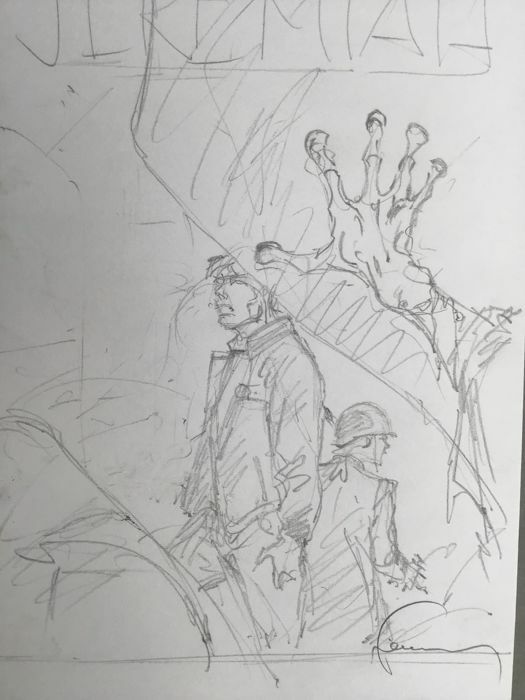 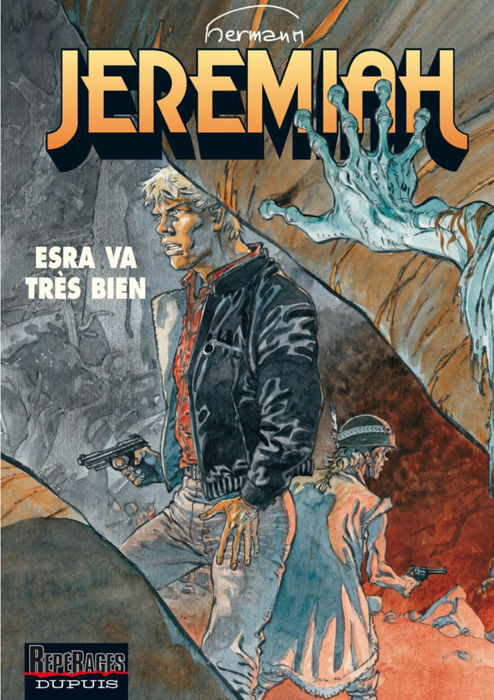 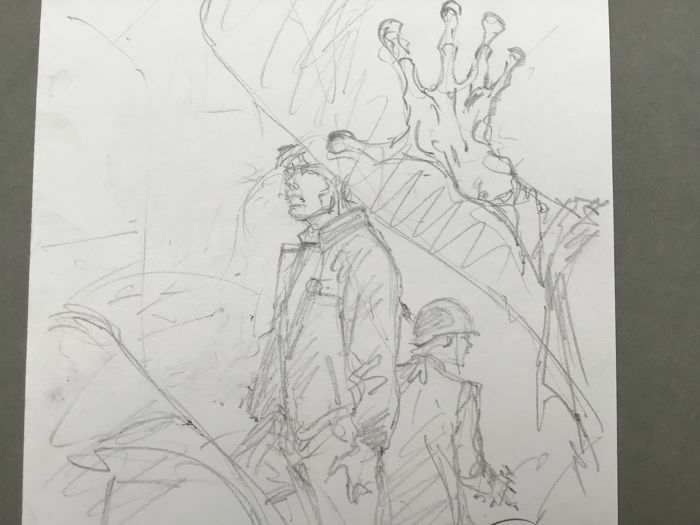 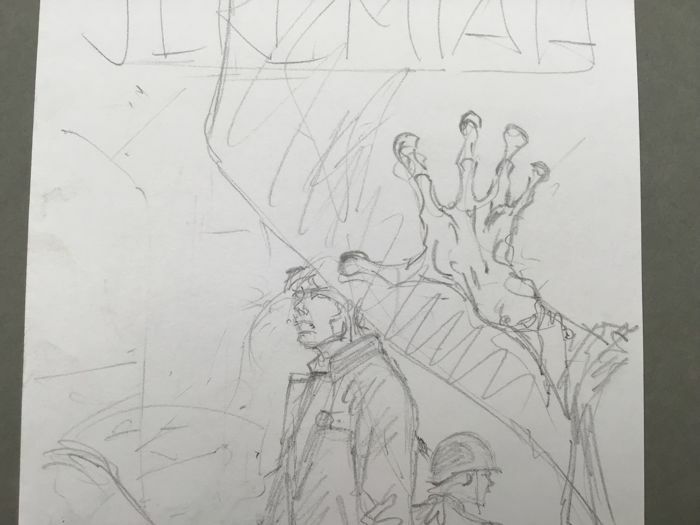 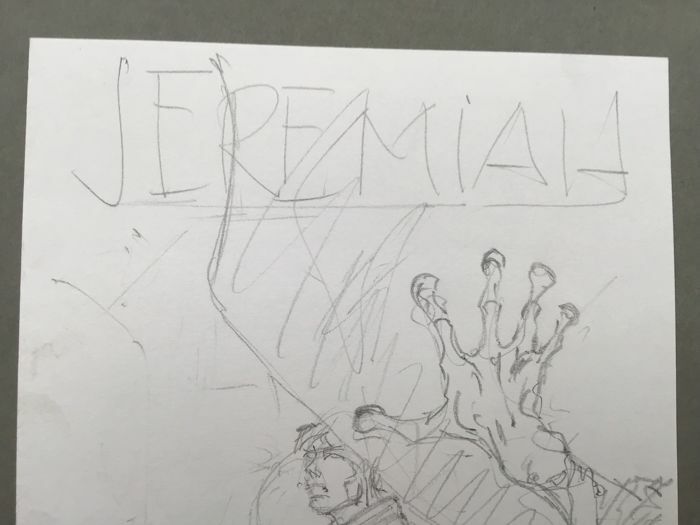 One could even argue that the effect of the hand in the foreground is even more striking than in the final cover, since this hand is placed below the title “Jeremiah” in the pencil sketch. 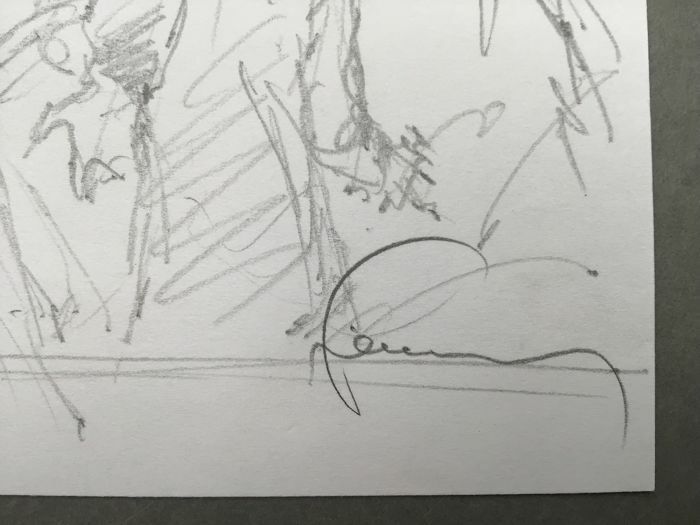 This unusual original composition would be a prominent addition to any beautiful collection. 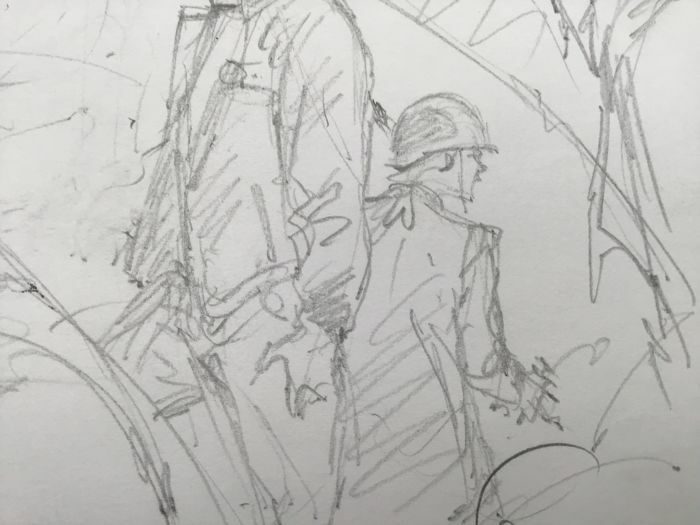 No reserve price for this attractive lot.